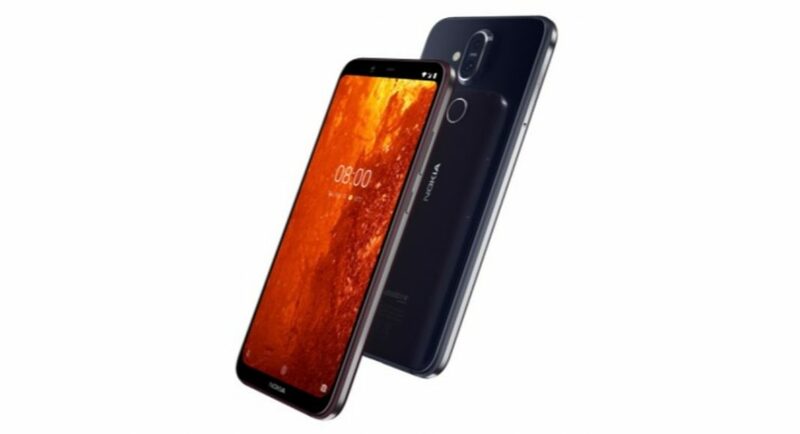 HMD Global has set the price of Nokia 8.1 as EUR 399. On conversion, this becomes Rs 31,900 in Indian currency. Nokia 8.1 mobile is available in Blue & Silver, Steel & Copper, Iron & Steel colour options and it will go on sale in Europe and the Middle East in mid-December. It is worth noticing that Nokia has scheduled an event in India for December 10, and as per reports, the company is planning the launch of Nokia 8.1 in the country on the said date. The company has also been teasing the smartphone on its Twitter handle in India. So we wouldn’t have to wait for long before we get to see the smartphone ourselves. Now, let’s talk about the specifications of the newly launched smartphone. Nokia 8.1 has dual-SIM functionality and runs Android 9.0 Pie. Like all other Nokia smartphones that we have seen recently, the smartphone is a part of the Android One programme. Nokia 8.1 sports a 6.18-inch full-HD+ display that has an aspect ratio of 18.7:9. The display of the device supports HDR10, has a screen-to-body ratio of 81.5%, 500 nits peak brightness, and the company claims that it is capable of a 96% colour gamut. Powered by an octa-core Qualcomm Snapdragon 710 processor clubbed with 4GB of RAM and 64GB of onboard storage. The smartphone can hold a microSD card of up to 400GB. Speaking about the cameras of the device, it sports dual rear cameras with Zeiss optics. The dual rear camera setup of Nokia 8.1 smartphone comprises of a 12MP sensor, which comes with 1.4-micron pixels, OIS, EIS, 2PD and a dual-LED flash, and a 13MP fixed focus lens that has depth-sensing technology. For selfies and video calls, there is a 20MP fixed focus lens which comes with 4-in-1 pixel tech that promises enhanced low-light photography. Like Nokia 8 and Nokia 8 Sirocco, the Nokia 8.1 has the Bothie feature that enables users to use the front and back cameras simultaneously. The camera app of the smartphone also supports Bokeh effect and Pro Camera UI. The smartphone has a 3,500mAh battery and on the connectivity front, it comes with 4G VoLTE, Wi-Fi, VoWiFi, Bluetooth v5.0, GPS, a 3.5mm headphone jack, and USB Type-C port.